Garry Karton, author of the award winning children’s spirit animal adventure book published by the Brattle Publishing Group in Dallas, “The Last Akaway,” can be heard Saturday, Feb. 8, on the “Parent Talk” radio show in Buffalo. Show details below. Karton will appear at the Perot Museum of Nature and Science and the Barnes&Noble, Preston Royal on March 1st. Parent Talk can be heard live in the Buffalo area on FM102.9 & AM1230 Timeless WECK. It can also be heard “live” on our website, TimlessWECK.com. A podcast of that show should be available the Monday following the show. DALLAS, TEXAS—Noted Dallas/Ft Worth art dealer David Dike hosts his Annual Exhibition and Auction of Texas Art on Saturday, January 25, 2014. For over twenty years David Dike Fine Art, located in the arts district on Fairmount, has been educating collectors, specializing in late 19th and early 20th Century American and European oil paintings with a special emphasis on Texas artists. An annual tradition in Texas art since 1996, the auction includes early traditional, regional and modern Texas art. Artwork by such prominent Texas artists as Frank Reaugh, Otis Dozier, Julian Onderdonk, Olin Travis, Porfirio Salinas, and William Lester are among the more than 250 works to be featured. The auction will be held at the Wildman Art Framing, 1715 Market Center Blvd., Dallas, TX 75207. Beginning at 2:30 on the day of the auction, noted producer/director Marla Fields will discuss her documentary on artist Frank Reaugh. Preview of the works to be auction will be January 20-25, 2014 at Wildman Art Framing. The auctioneer is Louis Murad. Live, phone and Internet bidding will be available. David Dike, a native of Fort Worth and a graduate of Texas Christian University has made it his mission to spread the enthusiasm of Texas art. Dike prides himself on bringing quality art to corporate clients and collectors alike. 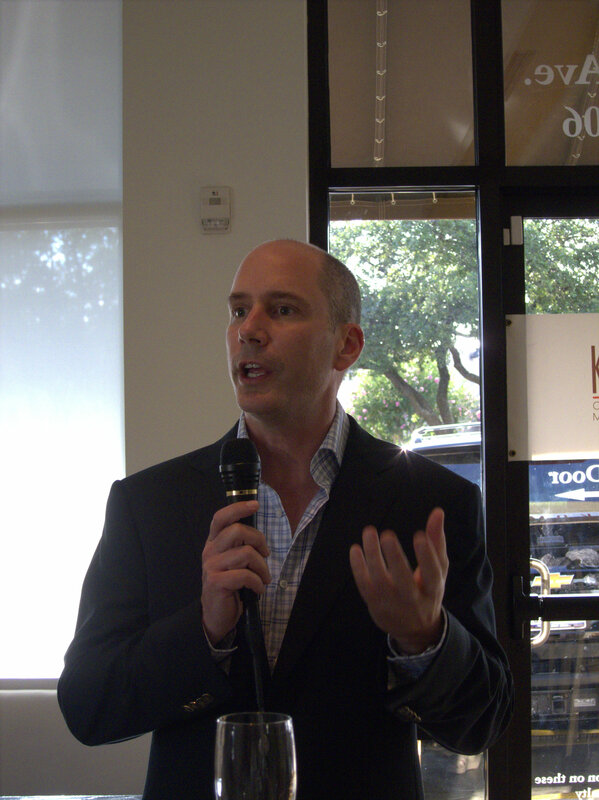 His mission is to better educate the general public on the importance of Texas and American art. David Dike Fine Art, which opened in 1986, brings American and European art to Dallas and introduces Texas art to collectors. Dike is a contributor to two prominent books on Texas art. As an art consultant, David has helped assemble important collections for historic hotels and other public buildings. Considered the leading expert on early Texas art, David has seen his annual event spur Texas art auctions and events throughout the state. David Dike Fine Art, member of the Fine Art Dealers Association, is considered one of the country’s best sources for acquiring as well as selling Texas works of the highest quality. DALLAS, TX–“The Last Akaway”, published by Brattle Publishing Group of Dallas Texas, has won a Bronze Award in the Preteen Fiction Fantasy category of the Moonbeam Children’s Book Awards. The award will be presented November 9th at the Traverse City Children’s Book Festival, traverse City, Michigan. “We are thrilled to receive this recognition for the first in a trilogy by author Gary Karton” said Richard A. Lena, Founder and Managing Director of Brattle Publishing Group. The Moonbeam Children’s Book Awards bring increased recognition to exemplary children’s books and their creators, and support childhood literacy and life-long reading. The Awards recognize and reward the best of these books and bring them to the attention of parents, booksellers, librarians – and to children themselves. Synopsis In “The Last Akaway”, Brody Boondoggle and his big brother, Jake, see things very differently. Eleven-year-old Brody believes in special powers and spirit animals and all the extraordinary energy in the world that can lead to magical adventures. Twelve-year-old Jake doesn’t. He is sensible and realistic. He likes the certainty of video games, and believes only what he can see. Unfortunately, that doesn’t include the magical Akaway, wounded by the quirky video game creator Uncle Skeeta. The evil gamer sees the Akaway as a major treat to his empire and devises a scheme to destroy the Akaway. But the two brothers, guided by their quirky grandmother, finally agree to work together in a quest to save the last Akaway and preserve the creative powers of children everywhere. About The Author “The Last Akaway”, authored by Gary Karton is the author’s second publication. In addition to being a respected newspaper journalist, he is currently the Director of Communications for Safe Kids Worldwide and is a contributor to the Huffington Post. Moira E. McLaughlin of the Washington Post writes that Karton said “I never really thought about writing kids books until I was reading with my kids”. Karton lives in Arlington, VA with his wife and sons. He says, his boys wanted him to write a book that was unpredictable. So he did. “I’m just going to write a book that I would really like,” Karton recalled thinking. “I love animals. I love special powers, and I love having fun.” Reviews: The Kirkus Review and as reported in the Washington Post: ”A funny, engaging YA adventure with an important lesson. What happens after an encounter with the Akaway is a spirited journey of self-discovery and a celebration of childish imagination as well as an exploration of kids resourcefulness and inherent goodness. Important though far from didactic, teaching moments abound, wrapped in exciting descriptions and incorporated easily and naturally into the story. Author Karton has an ear finely tuned to the rhythms and sweet absurdities of childhood patter, and his tale has enough fabulous twists and turn to keep even the most grown-up young adult intrigued. While the writing falls in the well-plumbed tradition of adventure tales—readers will recognize a number of fondly made references—the villain and resolution are wonderfully original. Adults reading to children will also delight in the wholesomely irreverent tone and moment of linguistic fancy. Brattle Publishing Group Brattle Publishing Group publishes print and digital materials that inspire literacy and life-long learning. They develop products using proven, research-based instruction and design that are sure to inspire, motivate, educate and entertain people of all ages. Tonight at Komali, Benefiting Family Compass and Celebrity Sips! KOMALI ‘CELERITY SIPS’ NOVEMBER BRINGS COOL ‘BARTENDERS’ FOR FAMILY COMPASS FOR IMMEDIATE RELEASE DALLAS, TX – Continuing the popular bartending for a cause series, Uptown’s Komali Restaurant announces the next celebrities who will be at the bar on Tuesday, November 19, for Family Compass. Polishing up on pouring skills will be Reality Star and Swimsuit Designer Melissa McManneas Carson (formerly Poe) with her husband Doug Carson and Connie Dieb, Reality Star and Owner of Uptown Consignment a luxury resale clothing store. Komali’s award-winning mixologist Leann Berry (her Tamarind Margarita was just name best margarita in Dallas for the second year) will be tutor-in-chief. Join the prominent group in mixing it up for a cause, 6-8pm; order your favorite drink; and leave a generous tip. A portion of drink proceeds goes direct to Family Compass. Komali chef and owner Abraham Salum began the ‘Celebrity Sips’ series with Komali neighbor Hope Cottage. Family Compass is third in the series of fall sipping events. Founded by over 400 Dallas Exchange Club volunteers in 1992, Family Compass’ mission is to build healthy families and a strong Dallas community by preventing child abuse and neglect. Since inception, Family Compass has served over 40,000 children and families. Family Compass believes every child has a fundamental right to a healthy family environment, the opportunity to succeed in school and the capacity to experience life without violence. Each child has a right to simply be a child. Family Compass’ mission resonates through therapeutic and educational programs for families with increased risk for child abuse. Their vision is that all parents are equipped and empowered with the tools to raise healthy and productive children. They work to empower parents by teaching positive parenting methods and supporting parents in strengthening their families’ emotional, economical, physical, and social capacities. We have a client, Hummingbird Bakery, who has opened a brick and mortar location in Burleson as a result of the success of their food trailer. Now that they are in their new digs they no longer have use for the trailer. They may be willing to discuss some financing to the right person. Description: “Hot Trailer”, Grade A trailer, Custom Built Permitted Concession Food Trailer. Vent-A –hood, Convection oven or space for grill and deep fryer. This trailer is a must see. Spotless, clean new appliances with stainless steel tables, diamond plate floors, air-conditioned/heated and an RV back door with a screen door etc. Please email me for more pictures and spec sheet. It is currently inspected in Fort Worth and Tarrant Counties and we are prepared to walk the new owner through the process at Dallas County permitting as we have a good relationship with them. Feel free to call John @ 214-907-0007, email jtiller@marthatiller.com for any additional information. Oishii, the laid back sushi restaurant at Wycliff and the Tollway is not only restored after a devastating fire but it is better than ever, including a new bar area! Here are a few of the things we found at a media event last night. Dessert menus at Mexican restaurants used to be predictable: flan, rice pudding, sopapillas, crepes with cajeta, and tres leches cake — a Nicaraguan favorite popular throughout Latin America.Although you still see these classics, the rise of modern Mexican cuisine is bringing far more innovative desserts to the table. Local chefs are giving American desserts a Mexican twist and tweaking Mexican mainstays, sometimes adopting their English names to lure less adventurous diners. At Komali, the Coconut-Chocolate Bread Pudding might not sound particularly Mexican, but it’s an inspired riff on a Mexican classic. Mexican Chocolate Ice Cream, made by Henry’s Homemade Ice Cream in Plano, tops it off, but you can use Dutch chocolate ice cream, too. Although it looks like an ordinary, homey bread pudding, our recipe tasters found it far tastier and more exciting than conventional versions. Chile-chocolate desserts, once an adventurous pairing, have gone mainstream. Iron Cactus Mexican Grill and Margarita Bar features a rich Chipotle Chocolate Torte at all five of its Texas locations. The chocolate-chile combo is a crowd-pleaser; it even turns up in chocolate bars sold at supermarkets. Chocolate desserts aren’t the only ones getting chile-kissed. At Blue Mesa Grill, the smoky heat and earthy depth of puréed guajillo chile complements cinnamon-sugared apples in Guajillo Apple Pandowdy (a cobbler variation). A cornmeal-enriched crust gives the pandowdy even more of a Mexican accent. The restaurant hired pastry chef Katherine Clapner, owner of Dude, Sweet Chocolate, to create this dessert and others on the menu. At Mí Día From Scratch in Grapevine, chef Gabriel de Leon lends a whimsical touch to s’mores. His Mexican S’more features house-made graham crackers, vanilla marshmallows and chocolate peanut butter fudge, a nod to popular Mexican peanut candies like mazapan. Served with Abuelita chocolate ice cream and a smear of strawberry gel, it elevates the fireside favorite to a fork-and-plate dessert. It’s a tough treat to re-create at home, but you can improvise with some higher-end store-bought ingredients and still enjoy a big upgrade from the original Girl Scout recipe. Read on for easy ways to bring a touch of modern Mexican cooking to sweets in your kitchen and for Mexican dessert recipes that could well become family classics. The David Dike Fine Art Texas Art Auction, an annual tradition in Texas art since 1996, will be held Saturday, January 25, 2014, at the Wildman Art Framing, 1715 Market Center Blvd., Dallas, TX 75207. Beginning at 2:30 PM producer/director Marla Fields will discuss her documentary on artist Frank Reaugh. Bidding starts at 3:30 PM CST. Preview will be January 20-24. 2014 at Wildman Art Framing. In person, phone, absentee and internet bidding will be available. Works by Frank Reaugh, Otis Dozier, Julian Onderdonk, Olin Travis, Porfirio Salinas, and William Lester are among the more than 250 works to be featured. KOMALI HIGHLIGHTS EL MAYOR TEQUILA TOMORROW NIGHT, Oct. 22nd! DALLAS, TX-Komali’s signature cocktail, “Black Passion Margarita,” will be featured during an evening of El Mayor Tequila tasting on Tuesday, Oct. 22. Served will be specialty paired appetizers with all 4 Tequilas from El Mayor, including the Limited Edition El Mayor Extra Aged Anejo. Cost of the 6:30-8:00 pm event is $30 per person (plus tax and tip). Komali is located at 4152 Cole Ave. and is a sister restaurant to Salum Restaurant next door. Abraham Salum is chef/proprietor of both Uptown establishments. Komali is open for lunch and dinner Tuesday through Saturday, 11 am-11 pm and Sunday brunch 11am-3 pm with Sunday evening drink specials and full dinner menu 4:00-10:00 pm. For reservations 214/525-0200. Savor the Flavor of the 10th Annual Savor Dallas with “early bird” prices! The most delicious food and wine festival in Texas returns for a flavorful 10th anniversary celebration, and you can get a very special deal on advance purchase tickets to all Savor Dallas events right now! Click here to get “early bird” prices on your favorite events throughout the March 20-23 weekend. Savor Dallas kicks off the weekend on Thursday March 20 in the beautiful Dallas Arboretum. Savor the Arboretum with great restaurant cuisine and premium wines. Friday, the popular Arts District Wine Stroll returns to the Crow Collection of Asian Art, the Meyerson Symphony Center and the Nasher Sculpture Center. Taste like a pro at the special VIP Reserve Tasting on Saturday, and the food and wine lover’s event of the weekend the International Grand Tasting featuring over 60 top chefs and more than 400 premium wines, spirits and craft beers, at the Kay Bailey Hutchison Convention Center Dallas. Join the fun Sunday for a cool, new event in Main Street Garden downtown. Chillin’ N’ Grillin features great live music, chef grilling competitions, art and artisans, along with a tasty assortment of big reds (wine), burgers, beer, and barbecue. Get all the weekend details here. The holidays will be here before you know it. Savor Dallas tickets make a great stocking stuffer, but these special prices are only available through the end of the year. Savor Dallas is big fun, and big flavor in Big D. So, bring your friends to the 10th annual party, March 20-23. DALLAS, TX—“If you have not tried sushi at Oishii, you should not be allowed to vote,” says one loyal customer. Well, let the eating begin. Proprietor and host, Thanh Nguyen reports the special golden wall tiles that arrived from Italy are in place and the new oversized Italian suspension lighting fixtures reminiscent of large bells are ready to shine. Rebuilding to overcome extensive fire damage that occurred late last year has taken several months, but final touches are underway for the mid-October grand re-opening of the Wycliff Asian eatery known for good food, extremely fresh sushi, and great prices. Diners can expect the same lunch menu; everything from the Spicy Salmon Cabbage Salad to the Sushi Lunch Platter. Dinner items of chicken, beef, pork, seafood and vegetarian, plus popular soups like the Pho Soup and the Crab and Chinese Asparagus Soup return. Also coming back are Chef’s Specials like Peking Duck and Coconut Sea Bass. And, of course, the extensive sushi menu returns. Thanh is known for his custom sushi with special requests. Opening in 2003, the pan-Asian Oishii became a neighborhood favorite in Oak Lawn, Park Cities and with nearby medics from the UT Southwestern medical district. Regular customers found favorite specialty items such as the #42 Roll, Tribeca Roll, and G Roll. Thanh promises “Half Off Bottles of Wine Wednesday Nights” once again. Oishii is located at 2525 Wycliff Avenue, Suite 110, Dallas, TX 75219. Hours of operation are Mon.-Thurs. 11am-3pm and 5pm-10pm; Fri. 11am-3pm and 5pm-11pm; Sat. 11am-11pm; and Sun. 5pm-10pm. For reservations 214-599-9448 (phone number available when construction is complete) http://www.dallasoishii.com. The 10th annual Savor Dallas, March 20-23, 2014, celebrates wine, food, spirits and the arts in downtown Dallas and nearby locations. “Savor the Arboretum” at the Dallas Arboretum kicks off the festivities with wine and chef cuisine in the gardens on Thurs., followed by the popular “Arts District Wine Stroll” on Fri. On Sat., “The International Grand Tasting” features cuisine from over 60 of the area’s top chefs and more than 500 premium wines, spirits and craft beers. A new event, “Grillin’ N’ Chillin’, featuring “big reds, burgers, beer, barbecue and bands” wraps up the weekend in Main Street Garden. More events TBA. Individual tickets and event packages go on sale October 1st. For more information visit www.SavorDallas.com or call 888-728-6747. Do you think it’s a WINNER? Or should I keep my day job??? 3rd Annual Petals & Stems Challenge – Online voting begins Sept. 4th and continues through Sept. 10th at 11:59 pm. If you found yourself in a warehouse surrounded by 100 varieties of flowers with the challenge to arrange something beautiful for your favorite charity while being timed and videoed, what would you do? Petals & Stems Florist in North Dallas brings together for the third year, six local business executives from different spheres of influence in the Metroplex to create the amateur floral arrangement of their life while being timed and videoed during the process. Their work will be posted on the internet for viewer voting. Each challenger’s designated charity receives $100 for their participation, and the winning amateur bouquet merits $1,000 for that ‘designer’s’ charity. DALLAS, TX–Komali Restaurant introduces Sangria Sunday on Service Industry Night with Leann Berry. Beginning July 7th, the Uptown eatery featuring authentic, contemporary Mexican cuisine (not Tex Mex) is open Sunday evenings, 4-10 PM. Sunday evening features include award winning mixologist’s Leann Berry’s beverage specials of $4 Sangria, $2 Mimosa, $5 Bloody Marys, $5 House Margaritas along with $15 carafe Sangrias and $10 carafe Mimosas. A Bontana style Tapas menu compliments the beverages. Additionally, all food service industry personnel including servers, bartenders, hosts, chefs, busboys etc., receive half off all food items. Service Industry Card, personal business card or recent pay stub required for proof of eligibility. Komali is located at 4152 Cole #106 @ Fitzhugh. Serving lunch and dinner, the restaurant is open Monday-Saturday, 11:30 am-11:00 pm. Brunch is served Sundays, 10:30 am-3:30 pm. Sangria Sunday and Service Industry Night is Sunday, 4:00pm-10:00 pm. Komali is closed on Monday. For reservations call 214/252-0200. www.komalirestaurant.com. It was a sea of people last night at Komali in Uptown where owner Abraham Salum put on his largest Tequila tasting since Komali opened two and half years ago. 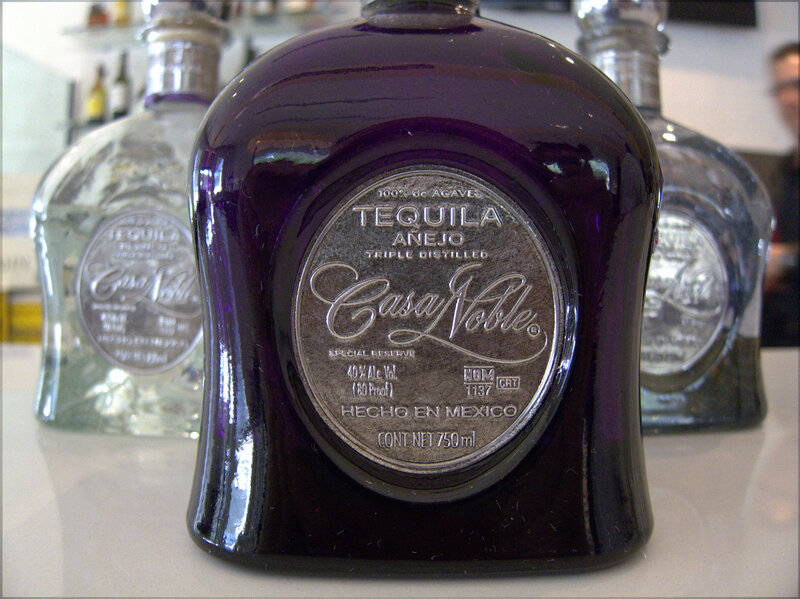 The fêted brand was Casa Noble, a premium Tequila produced since the 1700s near Tequila in the state of Jalisco. 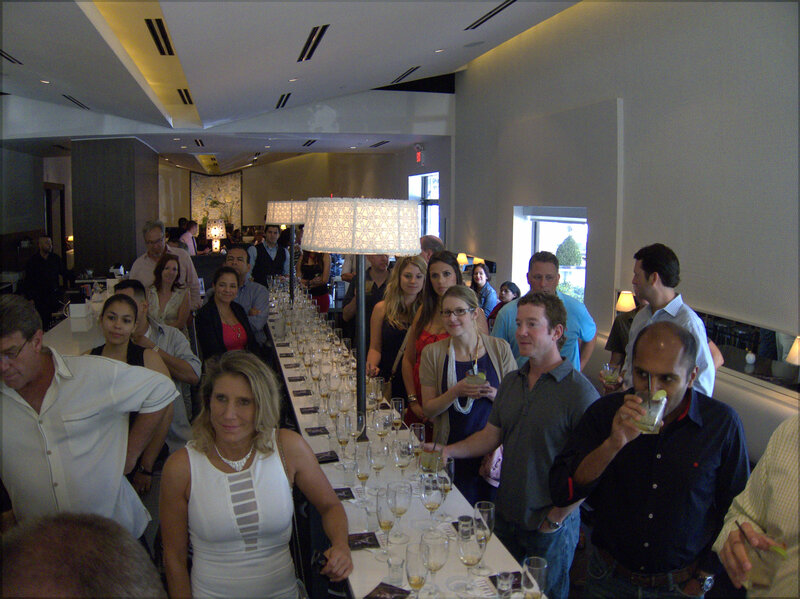 Perhaps the high turnout (you could hardly move) was not a surprise, as Casa Noble CEO Jose Hermosillo had flown into Dallas to personally make the presentation as part of a promotional tour of the important Texas market. Alongside the tequilas, Komali chef Anastacia Quiñones served ‘botanas’ to suit each one. As I talked to Jose what got my attention was the phrase “new French oak”. I thought maybe Jose had a wine business on the side. But no, the Casa Noble aged tequilas begin and end their aging in a French oak barrel and at the start of the process that barrel is a brand new Taransaud or François Frères barrique. The significance of the use of this oak is that each barrel costs around $1200, versus $70 for the used bourbon barrels widely used in the tequila trade. The measure is no vanity step. As the tasting notes below show, it gives the end product a unique bouquet and flavor profile. Other aspects of the Casa Noble process also remind one of the fine wine making process. For example, the blue agave that is the fermented organic base of tequila is entirely estate grown. It is allowed to grow for a dozen years before harvest (most agave plants are harvested after only seven years) and the hearts of the plant are slow roasted in traditional slow cookers for 38 hours (newer techniques are quicker, but compromise sugar extraction). Great food and smiles all around on the KTXD – D:The Broadcast set with the Chef and all the crew! And how ’bout those Tennies?! Komali Restaurant, the place for contemporary Mexican cuisine, would like to invite you to an exclusive tequila tasting and pairing experience with CASA NOBLE luxury handcrafted organic tequila. Hosted by Jose “Pepe” Hermosillo, 7th Generation Master Distiller & CEO of CASA NOBLE, Experience this Fine Tequila Tasting, plus paired appetizers by Chef Anastacia Quinones and Specialty CASA NOBLE cocktails.